Exactly three years after spinning off its semiconductor manufacturing arm into a separate entity called GlobalFoundries, AMD is giving up the remaining of its minority stake to Abu Dhabi-based Advanced Technology Investment Company (ATIC). The agreement announced late Sunday includes a $425 million payment by AMD to GlobalFoundries over two years and a renegotiated wafer pricing. For 2012, the two firms have agreed on a fixed wafer pricing under a "take or pay" arrangement. They've also established a framework for wafer pricing in 2013, and agreed that AMD's additional 2012 quarterly payment obligations specified in the 2011 amendment, totaling $430 million, will be waived. Although AMD will remain one of GlobalFoundries' key customers, the breakup will give AMD more flexibility in sourcing its chips while GlobalFoundries will be better positioned to diversify its customer base. The first outcome of this is that AMD is no longer bound by an exclusive arrangement to manufacture its 28nm APUs at GlobalFoundries, something that has been rumored since November due to a slow, low-yield production ramp. AMD expects to record a one-time charge of $703 million in Q1 2012 consisting of the above-mentioned $425 million cash payment to GlobalFoundries and the remainder will be a non-cash charge. 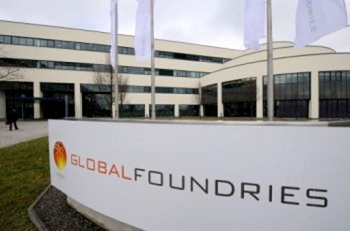 AMD owned 34% of Globalfoundries at the time of the spin off in 2009, but has decreased its stake in the firm several times through various transactions, most recently after a $209 million write-down of its investment in Q4 2011 that left it with an 8.8% stake. ATIC now has 100% ownership of Globalfoundries. The move is the latest by new CEO Rory Read to refocus AMD. Last week, AMD announced it would acquire Silicon Valley startup SeaMicro in an effort to enter the low-power server market.